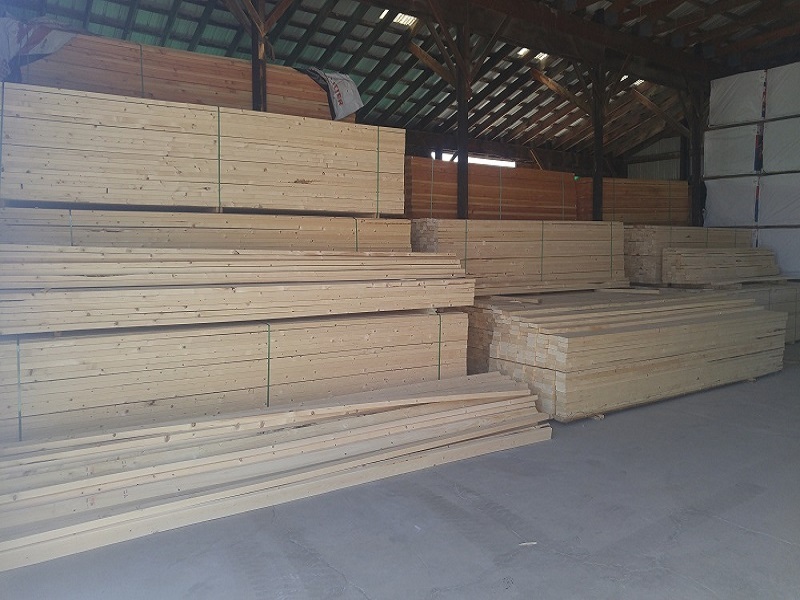 Lumber is a general term for all types of wood products cut from a log into all sizes and shapes, which may be treated with preservatives or not. There are two types of lumber: softwoods and hardwoods. Softwood lumber comes from trees like pine, fir, spruce, and cedar. The most common trees you’ll see hardwood lumber come from are oak, maple, walnut, hickory, and mahogany. 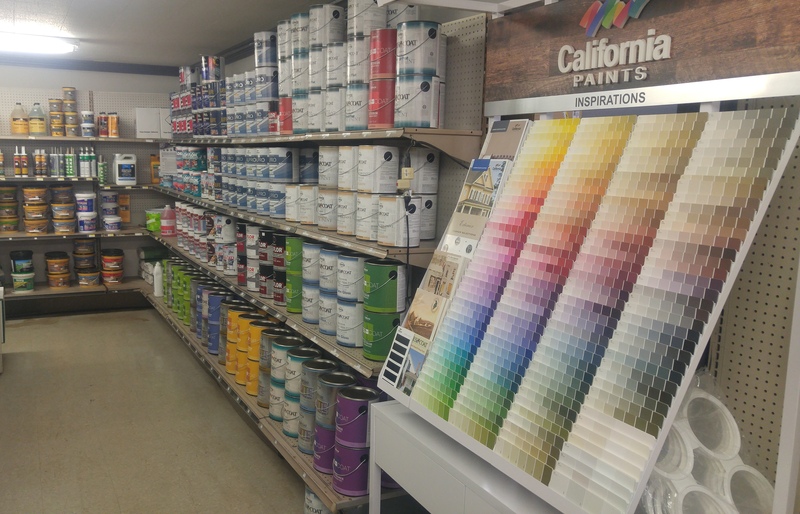 The right paint is the difference between a beautiful home and a disaster. Choosing the right stains for your wooden surfaces is imperative for durability and longevity. At Sixt Lumber we can help you make the right choice for whatever project you are working on. At our family-owned locations, Sixt Lumber offers a wide selection of tools designed specifically for the pro or homeowner in mind. 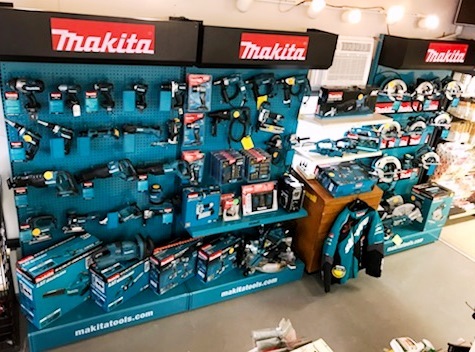 From hand tools to air tools; mechanic tools to combo tool kits, Sixt Lumber has a variety of quality tool brands available. Windows protect the interior of your home from the weather outside and maintain the comfort. Windows will provide security and reduce the noise levels of the outside, and transference of noise from the inside out. At Sixt Lumber one of our professionals can help you make the right decision. Garage Doors may be one of the most visible portions of a house, providing curb appeal as well as security for the home. With all the styles offered you can be sure to find the best garage door for your home. Stop in today and let us help you choose the right option for your home. Sixt Lumber can help you customize a fence that has style, security, affordability and offers long lasting beauty. From classic wood fencing, secure aluminum fencing or durable vinyl fencing, Sixt Lumber offers fencing that is durable, reliable and beautiful. Decks are an outdoor reflection of the family’s lifestyle. 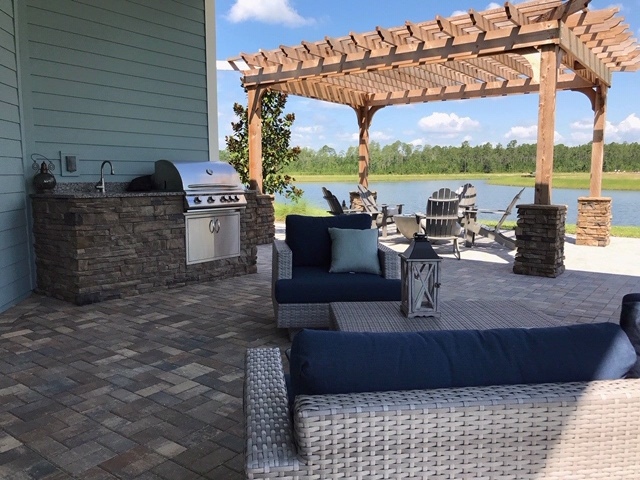 While some decks are smaller and just used for relaxing, other decks will be extensive, may use several levels and include an outdoor kitchen, spa or sauna, and several seating areas. 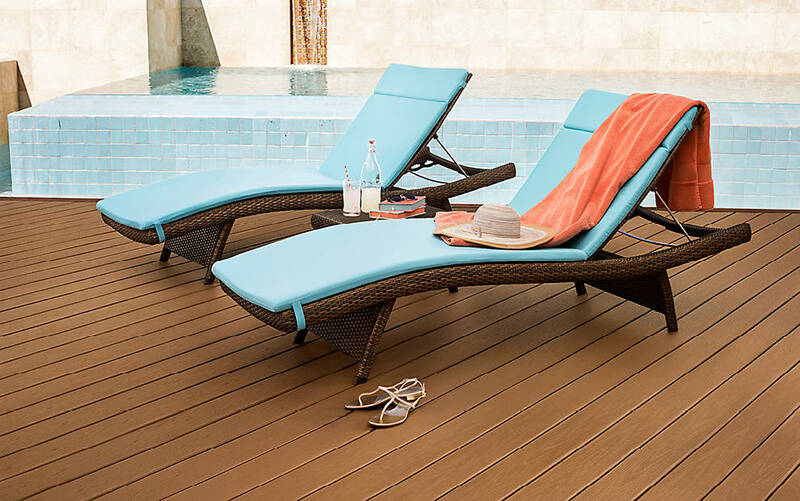 Sixt Lumber offers quality decking at an affordable price. The most important features of any railing are style, material and performance. Railings come in a variety of colors and designs so it's easy to find the most elegant railing within the budget. Stop by today and let us show you all of the railing options available to make your home visually stunning. Your front entryway is one of the biggest style statements your home can make. So whether you’re building new or remodeling, you want to feel confident you’ve selected the perfect style for you. It also must function for security and keeping out the elements. Storm Doors offer an extra layer of insulation and security to the home. Patio doors are designed to provide access to the outside living areas of a home, not just a patio. When choosing flooring, consider the amount of traffic on the surface and the style of the room. Also, take into consideration the ambiance to be created by the material used and the color chosen. Your flooring choice is the foundation of your design. Sixt Lumber can help you explore all of the flooring styles and colors available. Your kitchen is the main focus of your home. Wheather you are entertaining or prepairing meals, your kitchen is always busy. It is also a place where more than meals are made, it is a place you share with your loved ones and it is where memories are made. Creating that space is just as important. Whether you are entertaining or preparing meals, your kitchen should be functional, yet stylish. Sixt Lumber can help you explore all the possibilities for cabinets, countertops and seamless sinks. According to the U.S. Government, up to 20 percent of a home’s heating and cooling costs can be saved with insulation. Insulation slows the movement of warm air into cooler spaces. The comfort of the occupants is most important for insulating a home. We can show you the right insulation for the comfort of you home. 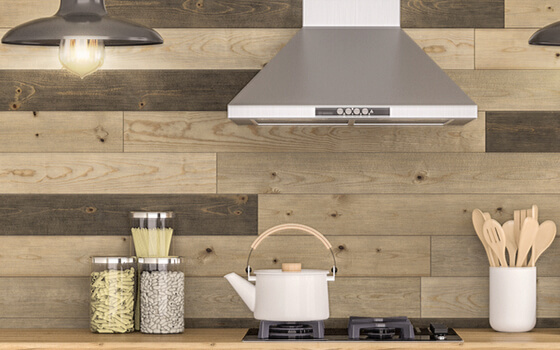 Recreate the rustic, weathered beauty of an aged barn wood wall. At Sixt Lumber, you can bring natural beauty and warmth to your walls. Explore all the different wall colors, textures, and finishes to accent any room decor. Update your home with the latest in ceiling options. With stunning ceiling options available, Sixt Lumber can help you find ceilings that help enhance comfort, save time and offer something that will fit into your room design. You want your outdoor living space to be both beautiful and accomodating. Extend your indoor living to the outdoors with grills, kitchen islands and outdoor heating. Sixt Lumber is also featuring firepit burners, social bars and furniture. Designed to fit your home, budget and entertainment needs. Siding provides protection for the structure from the climate and elements. When designing the exterior of a home, builders and homeowner have a multitude of siding options for creating the desired look and lifestyle. The façade of a building is the most visible aspect and will send a visual message. The purpose of the roof is to protect the structure’s interior by shedding water. A roof is a system of design and materials working together as a shield against the external world and the weather. The curb appeal of the structure will be enhanced by the roof; up to 40 percent of a home’s appearance from the street can be the roof. Know the life expectancy of the material to be used. Whether you are building paths or garden boarders we have the cement and patio blocks in stock to make your yard beautiful. From setting posts in concrete, to repairing concrete steps we have the easy-to-use products at your fingertips. Need insulated concrete forms? We also carry Fox Blocks. From cabinets & drawer, electrical supply, hinges, bolts and knobs, Sixt Lumber offers the hardware you need to complete your project. We also carry locks for interior and exterior doors, keys, rope and chains. We have what you are looking for.